This Chex Party Mix recipe will be the perfect snack for any occasion, from game-day parties or picnics, to holidays get-togethers. This makes enough to feed a big crowd! 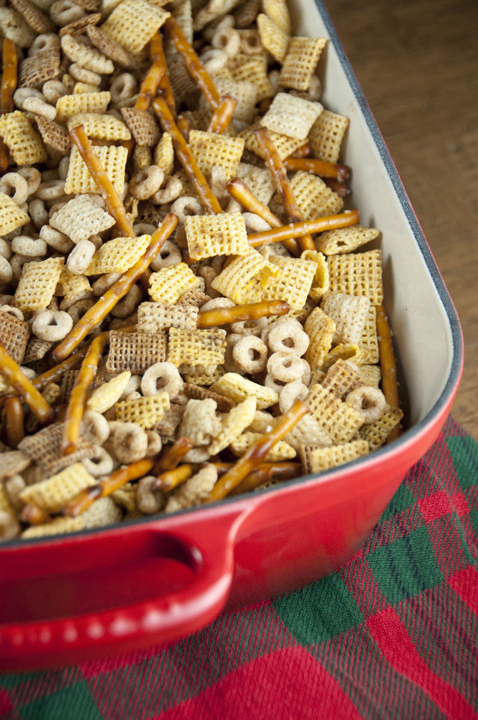 One of my favorite traditions each year at Christmas that I always looked forward to was my Aunt Dawn and Aunt Sheryl making their famous Chex Party Mix. It’s so addicting! My aunt Dawn would come to town and they would make it together at my aunt Sheryl’s house and then share the wealth and give each family a bag of it on Christmas Eve. I would always hoard it and eat around the cashews because I’m weird like that, but I would devour the rest and get more than my fair share, much to my other family members’ dismay. 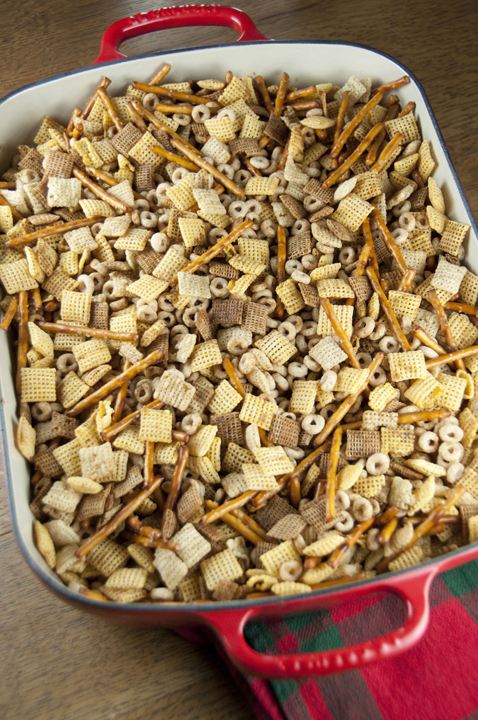 I know you have seen a million recipes like this floating around and even on the back of the cereal boxes, but this slightly tweaked version is and always will be my absolute favorite way to eat Chex Party Mix! You can’t beat a good holiday tradition, right? I actually recently came across the Rice Chex box recommended recipe and laughed out loud at how far mine has skewed. Let’s just say, I add a lot more butter! No wonder this stuff tastes so good. Oh, and the addition of the Cheerios in this version that I’m sharing with you. You MUST add the Cheerios or it’s just not the same – they sop up the juice and get all nice and crunchy. 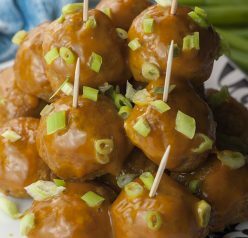 I make this stuff a couple times a year when I’m feeling nostalgic or need to bring a treat to a gathering with a large number of people. Can I admit that I absolutely loathe the stuff you buy in a bag? Does that make me a food snob? If it does, I’m OK with it. Nothing beats the homemade version. After tasting this, you won’t want to buy the stuff in the bags at the supermarket anymore either. Note: If you don’t like nuts or someone in your family is allergic, you don’t need to add them. 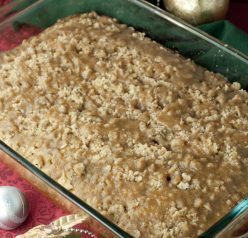 My aunt Dawn and aunt Sheryl always made it with cashews, but you can add whatever nuts you prefer! I bet honey roasted peanuts would be wonderful in this. Enjoy! Mix cereals, nuts and pretzels together two large roasting pans. Melt the butter in a sauce pan. Mix in salt and Worcestershire sauce. Pour this over the cereal mixture. Bake covered for one hour at 250 degrees. Bake an additional hour more, uncovered, stirring occasionally so all the cereal gets a little crispy. My husband makes the recipe on the back of the cereal box every year for Christmas. I may gently nudge him to try this version – great idea with using Cheerios! Nothing like making your own Chex Mix! I love the stuff — we make it throughout the year (although in small batches). And yes, you need significant amounts of butter! Thanks, and I hope you have a wonderful holiday season! You are right – these would be so addicting! You are smart to make a big batch because it’s the kind of munchies that just goes quick! 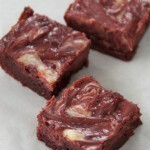 Yes, this was Ruby Smith’s recipe which has given Dawn and I our 15 minutes of fame! Thanks, Ashley! Making this tomorrow for a preschool party! So excited! Thanks for the recipe! I love snack mixes like this during the holidays Ashley! They’re so addictive, yet so poppable!